As a business owner, it can be challenging to keep yourself and your teams motivated. Meet Bill Gilliland, business speaker, coach, and educator. Bill’s no-nonsense approach can inspire and motivate you and your teams to be and do greater. As a former business owner himself, Bill can help you conquer the challenges, achieve mastery and grow an epic business. 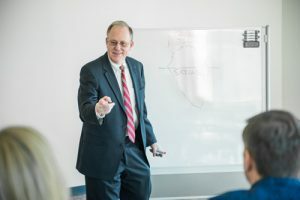 Bill is a published author and loves teaching “The Coach Approach” to business owners and executives around the world. Bill is an entrepreneur who has owned 5 businesses and still owns 3 businesses. In addition to speaking and coaching, he helps others buy and and sell businesses. Bill is a business nerd. He has read 100’s of books on business, attends multiple workshops every year and constantly is listening to audio books in his car. He calls it “car college”. Became a business coach because he has two great passions in life: Helping People and Business. Bill was once practicing golf by walking 9 holes alone and made a hole in one. If there are no witnesses, does it still count?